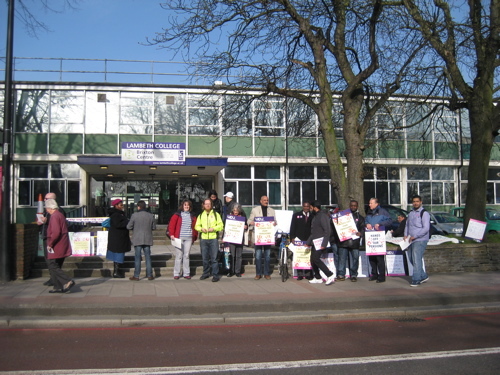 Posted: June 21, 2011 by lambethsaveourservices in Demonstrate, Rally & Occupy! No Ifs No Buts, No ESOL Cuts! 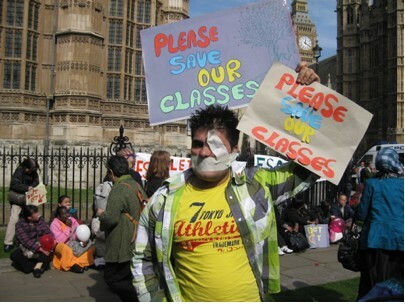 London students say no to cuts to English classes. Sunday to take to the streets and protest against cuts to English classes. organisations and spoke out about why English classes should not be cut. is in everyone’s interest for people to learn English”. Don’t miss ESOL Fest on 19th June! Posted: June 6, 2011 by blackdaffodil in Demonstrate, Rally & Occupy! On Sunday 19th June there will be two big ESOL FESTS in London, one in the south and one in the north and east, with the aim of bringing together students, teachers and community organisations for a celebration of multi-culturalism and ESOL, within the context of a general defence of Adult and Further Education. The South London Fest will meet at Windrush Square in Brixton at 12pm to march to Kennington Park for an afternoon of celebration and activities from 2-5pm, including music, food, dance, speakers, henna tattoos and lots more. 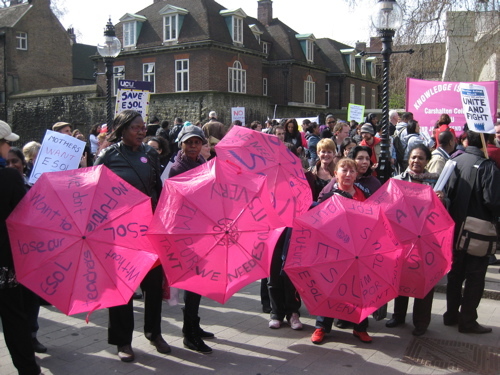 The East London Fest will meet at Hackney Town Hall 12.30pm OR Stepney Green Park at 12.30pm to march to Bethnal Green Gardens from 2-5pm. We hope the event will be a festive day with a serious message behind it that ESOL is important and deserves, like all of Adult Education to be protected and we invite all teachers, students and community organisations to come out and support us. If you’d like to get involved or speak at this event, please contact Mandy Brown, London Action for ESOL at mandybrowncow@hotmail.com or call on 07973853795. 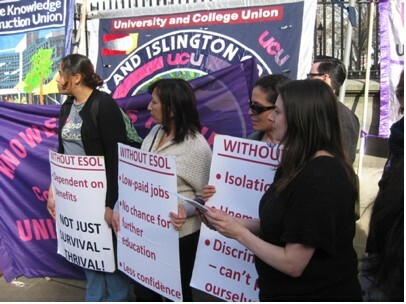 Thanks for supporting the London Action for ESOL campaign. I know that many would consider this to be a national issue, but the cuts to ESOL will have a devastating effect on the communities in our borough that don’t have English as a first language. It will also affect all FE colleges who could lose up to 80% of their ESOL provision in September, so I think it is of huge local significance too. David Cameron announced today that people who are unable to speak English have created ‘a kind of discomfort and disjointedness’ in communities across Britain. He also intimated that some migrants are ‘unwilling to integrate’. A Fantastic Turnout for ESOL on Thursday! Posted: March 25, 2011 by blackdaffodil in Demonstrate, Rally & Occupy! 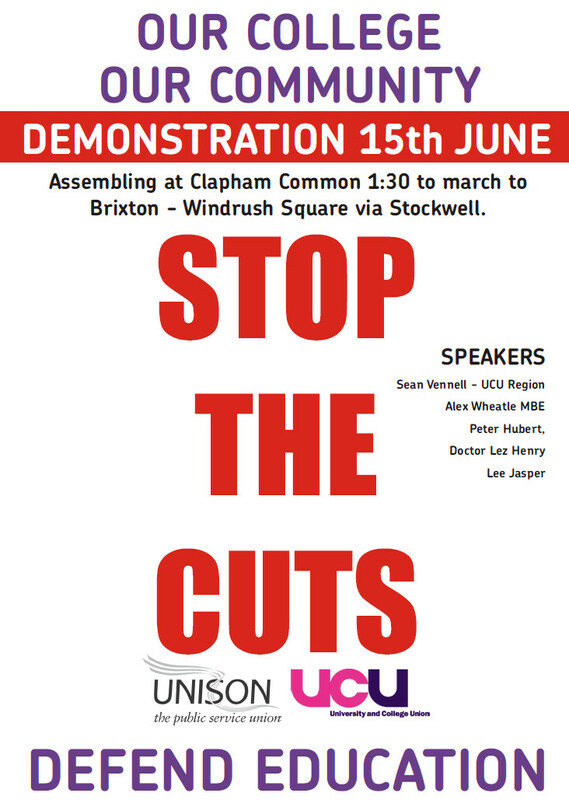 500 students and teachers from colleges all over London held a vibrant, noisy protest against cuts to ESOL funding outside Westminster at lunchtime, with massive teach-out, theatre workshops, outdoor games and singing lessons. 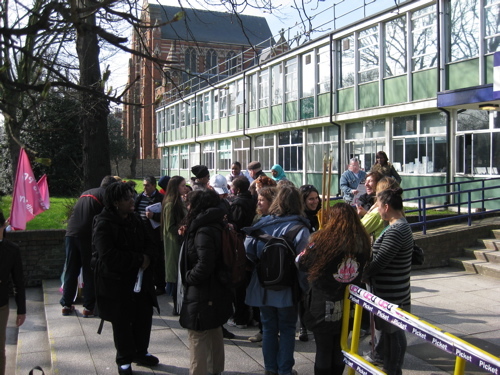 Refugees and students gathered round the megaphone to talk about why they need to learn English and how ESOL classes change their lives, before marching together to Downing Street to hand in the Save ESOL petition with 20,000 signatures, including Noam Chomsky, Ken Loach and Ken Livingstone. 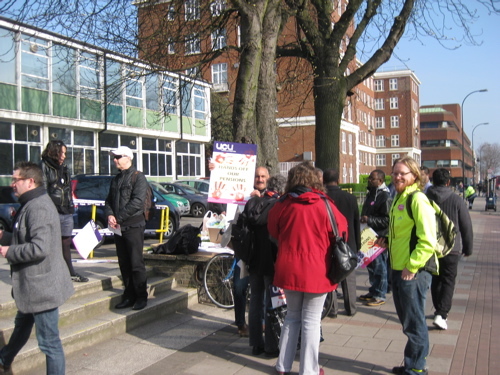 The protest continued in the afternoon on the UCU demo from LSE and rally at Downing St. 1000 striking teachers and lecturers listened to speeches defending ESOL and multi-culturalism by Jeremy Corbyn MP, an ESOL teacher and 6 students from Hackney College and many others. 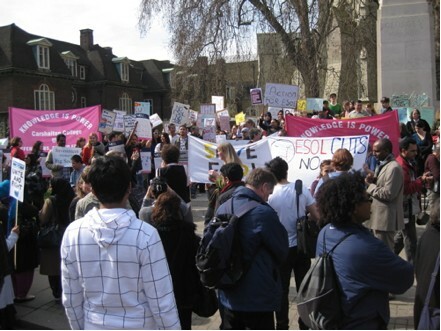 The photos and students’ words showed their determination and the day’s actions showed how ESOL students, teachers and refugee organisations across the country are not going to take this cut without a fight.